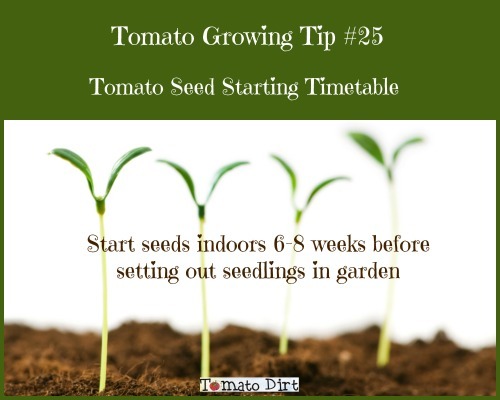 This seed starting timetable allows 8 weeks for seeds to germinate, grow at least two sets of leaves (or more), reach transplant size, and harden off before setting in the garden. 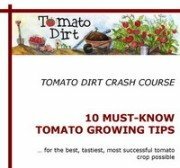 Here are some general rules to follow in North America (according to hardiness zones outlined by the United States Department of Agriculture) about when to start your tomato seeds. What’s a “plant hardiness zone”? Each zone is 10°F warmer (or colder) in an average winter than the adjacent zone. The map was developed to provide climate information important to horticulture. Most gardeners in North America rely on the USDA Hardiness Zone Map as they plan gardens and choose plants. Gardeners in other parts of the world use plant hardiness zone maps that follow the USDA model but are modified for their particular climate. For example, Africa’s map is divided into 13 hardiness zones. Australia’s temperatures are mild across the continent; its hardiness zone map is divided into just 5 zones and noted in metric units. See more tomato growing tips on our Pinterest board.